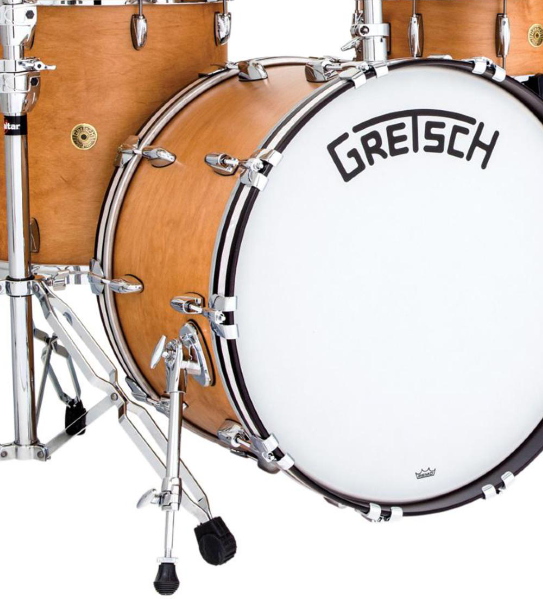 Gretsch broadkaster is revamped and is featured with 3-ply shells that is curated using oversized plies of North American maple. Keeping the legacy of the 1930’s original broadcaster, it is hand finished with a reverse roundover bearing edge on the bass drums and toms. There is greater surface contact between the bearing edge and drum head, as the inside edge of the shell is placed higher and rounds off down and away to the shell exterior edge. Finally like any USA-made Gretsch drum, shell interiors are finished with classic Gretsch Silver Sealer.